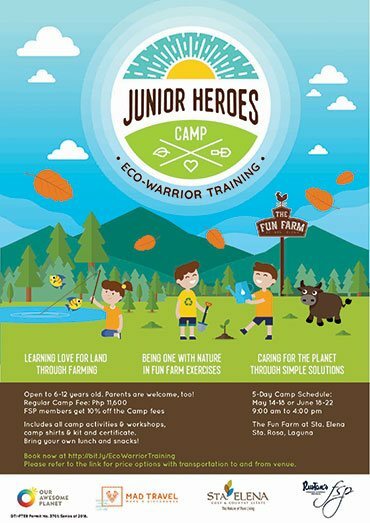 Take a sneak peek into the meaningful and productive Junior Heroes Summer Camp: Eco-Warrior training held last month at the Fun Farm at Sta. Elena & facilitated by MAD travel Kids! Every child that registered and was part of this momentous camp, sponsored meals to underprivileged kids through the Kusing ng Kalinga program. To all the Junior Heroes that participated, thank you for making it such a success! !